18, Barset Road, Peckham, S.E.15. BINYON, W. F., Sergt., 26th Middlesex Regiment. Volunteering in January 1915, he crossed to the Western Front in February 1917, and was in action in many engagements. He was severely wounded in May 1917 at Arras, and owing to his injuries his left leg had to be amputated at the Base Hospital, Etaples. After further treatment in Manchester he was discharged as physically unfit in March 1918, and holds the General Service and Victory Medals. BIRCH, F., Rifleman, 6th London Regt. (Rifles). He joined in January 1915, on attaining military age, and on the completion of his training was engaged on important Home Defence duties. Contracting cerebral meningitis, he died at Aldershot in June 1918, and was buried with full military honours at Forest Hill Cemetery. 92, Bellenden Road, Peckham, S.E.15. BIRCH, H., Private, Q.O. 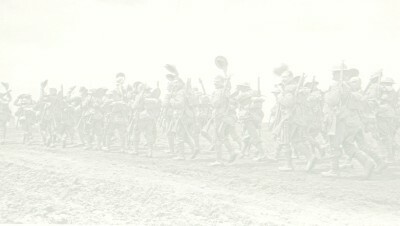 (Royal West Kent Regt.) He volunteered in August 1915, and crossing to France in the following March, was engaged in heavy fighting in the Somme sector until wounded in July 1916. Sent home on account of his injuries he returned to the Western Front on recovery, four months later, and was in action in the Battles of Arras and Vimy Ridge, where he was wounded again in April 1917. His injuries necessitated the amputation of his left arm, and invalided to England for treatment, he was ultimately discharged as physically unfit in May 1918. He holds the General Service and Victory Medals. 15, Crossfield Street, Deptford, S.E.8. BIRCH, H. S., Pte., 2nd Buffs (East Kent Regt.) Volunteering in February 1915, he landed on the Western Front three months later and fought in the Battles of Ypres and Loos. In October 1915, he was drafted to Salonika, and took part in the Offensive on the Doiran front, the Advance on the Struma, the capture of Monastir, and the Battles of the Vardar (I and II). On the conclusion of the Balkan campaign he was sent with the Army of Occupation into Turkey, and was stationed at Constantinople for some months. He returned to England for his demobilisation in April 1919, and holds the 1914-15 Star, and the General Service and Victory Medals. 39, Porson Street, Lewisham, S.E.13. BIRCH, W. J., Driver, R.A.S.C. (H.T.) He volunteered in April 1915, and after completing his training was engaged on important transport duties with his unit at various depots. He rendered valuable services, but was not sent overseas owing to medical unfitness, and in consequence was discharged in February 1916. Taken ill some time later he was removed for treatment to Camberwell Infirmary, -where he unfortunately died on October 27th 1919. BIRCHALL, C. J., Seaman Gunner, R.N. He joined in 1912. and at the outbreak of war was serving in H.M.S. "Arethusa," in which he served until she was mined on March 6th, 1916. Fortunately rescued, he was posted to Q11, one of the mystery ships, and was afterwards transferred to another vessel of the same class, H.M.S. " Donlevon," which was torpedoed on September 30th, 1917. Later he was posted to H.M.S. "Rhododendron " and was unfortunately drowned on May 5th, 1918, when this ship was torpedoed in the North Sea. He was entitled to the 1914-15 Star, and the General Service and Victory Medals. "His life for his Country." 46, Hill Street, Peckham, S.E.15. BIRCHELL, H., Gunner, R.G.A. Volunteering in January 1916, he was drafted overseas in the following September, and served in various parts of the line in France. Wounded in the Battle of Arras in 1917, he rejoined his Battery on recovery, and fought at Ypres, Passchendaele, Kemmel Hlil, and in 1918 was wounded for the second time near Loos. After treatment he was in action at Bapaume, Epehy, Le Cateau and other important engagements in the Allied Advance, which ended hostilities, and returning home was demobilised in February 1919. He holds the General Service and Victory Medals. 29, Nutt Street, Peckham, S.E.15. BIRCHELL, J. R., Corporal, R.A.V.C. Mobilised from the Army Reserve when war was declared, he served on important duties with his unit at various depots, and did very good work. Owing to illness he was removed to Brompton War Hospital, where he died on January 4th, 1916, after sixteen years service with the Colours. 11, Hyndman Grove, Ruby Street, Peckham, S.E.15. BIRCHENOUGH, G., Pte., 9th E. Lancashire Regt. He volunteered in September 1914, and in the following June embarked for the Western Front, and after serving there for five months, proceeded to Salonika in November 1915. During operations in the Balkans he did good work with his Battalion in several engagements on the Bulgarian Frontier, and contracting malaria was sent home. After treatment at Bermondsey Military Hospital, he was discharged as medically unfit in December 1918, and holds the 1914-15 Star, and the General Service and Victory Medals. 33, Haymerle Road, Peckham, S.E.15. BIRD, C. R., 2nd Lieutenant, 7th Middlesex Regt. He volunteered in November 1915, and whilst serving at Tunbridge Wells, did excellent work employed on various duties, and rose to the rank of Sergeant Instructor in Musketry. He was later given a commission, and proceeding to France in July 1917 participated in strenuous fighting on various fronts. During the Battle of Cambrai in November 1917, he was wounded and taken prisoner, and kept in captivity in Germany until after the Armistice when he was repatriated. He was eventually demobilised in March 1919, and holds the General Service and Victory Medals. 14, Ferris Road, East Dulwich, S.E.22. BIRD, F. E., A.B.S.T., Royal Navy. Volunteering in March 1915, he was posted to H.M.S. "Duke of Edinburgh," which vessel was engaged on patrol duties in the North Sea. A year later he was transferred to H.M.S. "Penelope," which ship was torpedoed off Lowestoft on February 22nd, 1916. Fortunately saved, he was later toasted to a vessel patrolling African waters, and in May 1919 joined H.M.S. "Barham," in which he served until discharged in April 1920. He holds the 1914-15 Star, and the General Service and Victory Medals. 33, Goldsmith Road, Peckham, S.E.15. BIRD, F. J., Pte., 24th London Regt. (The Queen's). He volunteered in November 1915, and in the same year crossed to France. There he was in action in the Ypres salient, at Loos and in the Somme Offensive and in 1916 proceeded to Salonika. After six months' service in the Balkans he was drafted to Egypt, and taking part in the Advance through Palestine, was present at the capture of Jerusalem and other operations. Invalided home, owing to illness, he was subsequently demobilised in May 1919, and holds the 1914-15 Star, and the General Service and Victory Medals. 78, Brayard's Road, Peckham, S.E.15. BIRD, G., Pte., Q.O. (Royal West Kent Regiment). Volunteering in September 1914, he proceeded after a period of training to the Western Front, and took part in many important engagements, including those at Neuve Chapelle, Hill 60, Festubert, Loos, Vimy Ridge and the Somme. He was unhappily killed in action in severe fighting at Albert in September 1916, and was entitled to the 1914-15 Star, and the General Service and Victory Medals. 38, Miall Road, Lower Sydenham, S.E.26. BIRD, H., Driver, R.A.S.C. (H.T.) Enlisting in November 1913, he was mobilised on the out-break of hostilities, and proceeded to France soon afterwards. Serving on important duties in connection with the transport of ammunition and supplies he did good work in the Retreat from Mons, the Battles of the Somme, Arras, Ypres and Cambrai, and in the Retreat and Advance of 1918. He was demobilised in March 1919, and holds the Mons Star, and the General Service and Victory Medals. 55, Martin Street, Rotherhithe, S.E.I6. BIRD, J., 1st Class Stoker, R.N. Mobilised with the Fleet Reserve on the outbreak of war, he was posted to the Naval Division, and in October 1914, landed at Antwerp. He was posted to H.M.S. "Crescent" in January 1915, and in the North Sea was engaged in carrying food and other supplies to the Grand Fleet. After a period of service in that vessel he was transferred to H.M.S. "Euryalus," and was drowned on the voyage to India on September 4th, 1917, when that vessel was sunk by enemy action. He was entitled to the 1914 Star, and the General Service and Victory Medals. 4B, Sutton Dwellings, Plough Road, Rotherhithe, S.E.16. BIRD, R., Pte., l0th Q.O. (Royal West Kent Regt.) Volunteering in December 1915, he served at various home stations until May 1917, when he was drafted to Egypt. Whilst in that theatre of war he took part in operations during the Advance through Palestine, and in June 1918 proceeded to France. There he was in action in the Battle of Cambrai and other concluding engagements of the war, and after the Armistice was sent with the Army of Occupation into Germany. Returning home for demobilisation in November 1919, he holds the 1914-15 Star, and the General Service and Victory Medals. 10, Comet Street, Deptford, S.E.8.